Born in France in the early 60’s, Claude Bourbon grew up in Switzerland, where he was classically trained for many years. 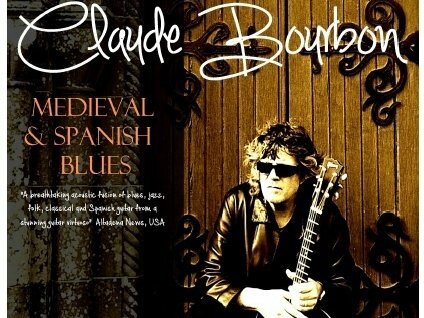 This finger picking guitarist has performed and studied all over the world; he has crafted an unbelievable fusion of classical and jazz, with ethereal Eastern influences, Spanish and Latin elements with strains of Western folk. Claude’s inimitable style incorporates all five digits on each hand dancing independently but in unison, plucking, picking and strumming at such speed and precision that his fingers often seem to melt into a blur.